The neutrinos that allegedly travelled faster than light would undermine Einstein’s Theory of Relativity, one of the two foundations of modern science. Quantum mechanics, the other foundation, is also threatened not by a recent discovery but by the lack of a discovery. The Higgs Boson is still missing. In quantum mechanics, everything that happens in physics can be explained by the existence of some particle. Light and electricity are explained by photons. Radiation is explained by alpha, beta, and gamma particles. Mass is explained by the Higgs Boson, also known as the “God Particle,” but after years of searching scientists can’t find it. They’ve tried almost every energy level where they thought it could be and got nothing. It’s like when you lose your keys. First, you look in the most likely places, such as the table by the door or under the sofa cushions. Then you try less likely places until you’re forced to check in the bathtub or the refrigerator. In the search for the Higgs Boson, scientists are now looking in the bathtubs and refrigerators of science. The real shocking discovery would be if they fail to find the Higgs all together. This would be like deciding the reason you can’t find your keys is because they never existed in the first place. It wouldn’t make sense. Failing to find the Higgs means our basic understanding of quantum mechanics is wrong. It can’t be completely wrong, or nuclear power wouldn’t work, but we’ve messed up some detail somewhere, and scientists will have to go through the long and tedious process of finding that small mistake. Unless they find the Higgs behind the ketchup in the fridge. For more information on the search for the hunt for the Higgs Boson, click here. 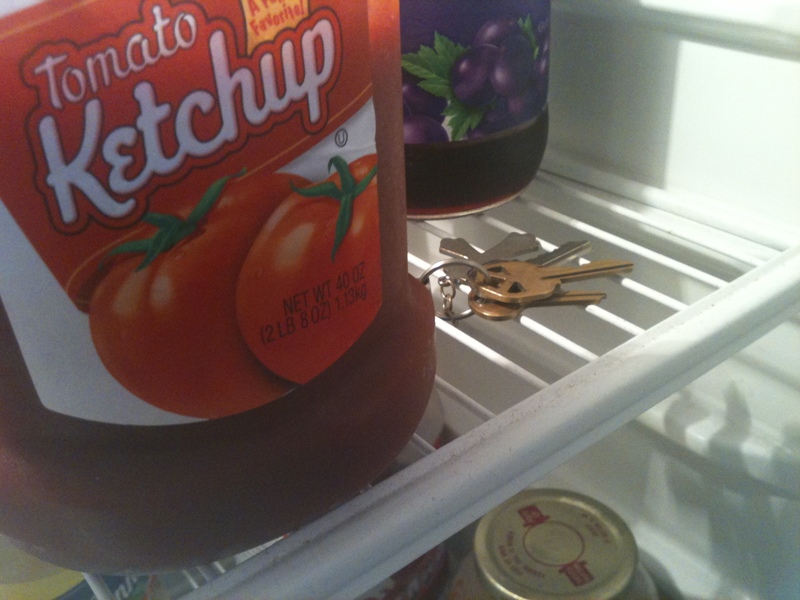 For more on lost keys, click here. Posted by J.S. Pailly on September 27, 2011 in Uncategorized and tagged CERN, Fermilab.